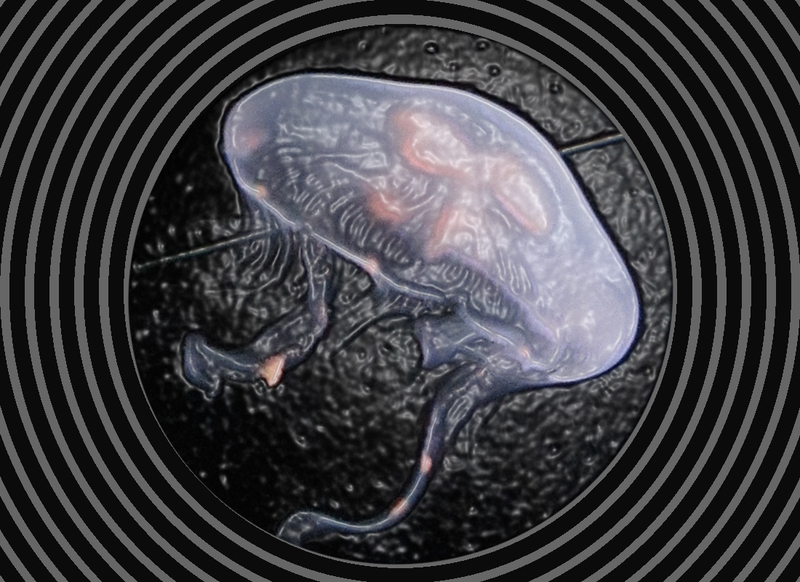 As you populate your eon jellyfish tank with jellies, you may sometimes notice a jelly acting differently; belling oddly or sometimes infrequently. Is that jelly sick? Should you take some action to make it better? Not necessarily. First of all, jellies don’t get sick, per say; however, they can plateau in their development. Take a look at your other jellies. Are they behaving in the same fashion as the jelly in question? Take some water quality readings and see if they are in range or not. Correct any levels that are off and wait a day or two. The jellies are 96% water. So, if your water quality checks out A-OK, then your jelly in question could be taking a personal day—having personal issues. This does not mean you need to take action on your whole system. If your water parameters are in range, be patient and keeping observing. We have noticed over the years that sometimes a jelly will sort of plateau and change behaviors for up to two weeks and then get back to normal. Some jellies grow quick and fast and are always in action, but then their growth rate slows down and they can plateau. Some don’t grow at first and then take off later in life. Be patient with your jellies as they settle into your system and with your maintenance practices. It’s good to be on the ball observing their health and wellbeing; however, think about your tank as a system–an aquatic system. Don’t be quick to judge one or two “off” days with a jelly here or there. And do not go the route of forcing more food into the equation thinking that is the answer. Let nature do its thing and just maintain good water quality and maintenance practices. These guys are resilient and given the chance, they can rebound nicely in a well-kept environment. Another thing to consider is that you are observing animals in a closed system and natural selection is taking place in front of your eyes! The stronger jellyfish will bell more, eat more food and grow faster and bigger. While, at the same time, the weaker jellies will grow more slowly and the very weak jellies will stay the same size as when you first introduced them, or will shrink. This is completely normal. We liken it to the “varsity”, “junior varsity”, and “bench warmers” of the jellyfish world. It is to be expected. In very rare cases will all the jellyfish remain the same size in a closed system. …in some cases they take a personal day for the rest of their lives and there isn’t anything to be done. They can still eat and live and be just fine. Embrace the existentialists!!! Next Keep Your Training Wheels on During Cycling of Your Jellyfish Aquarium! Great info. One thing I definitely didn’t know was how much water they were made up of 96%, wow. Great info. One thing I definitely didn’t know is how much water they’re made up of. I knew it was a lot, but not 96%, wow.